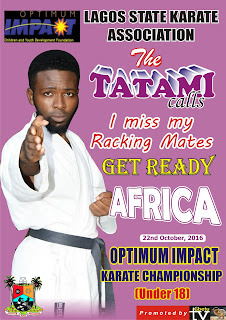 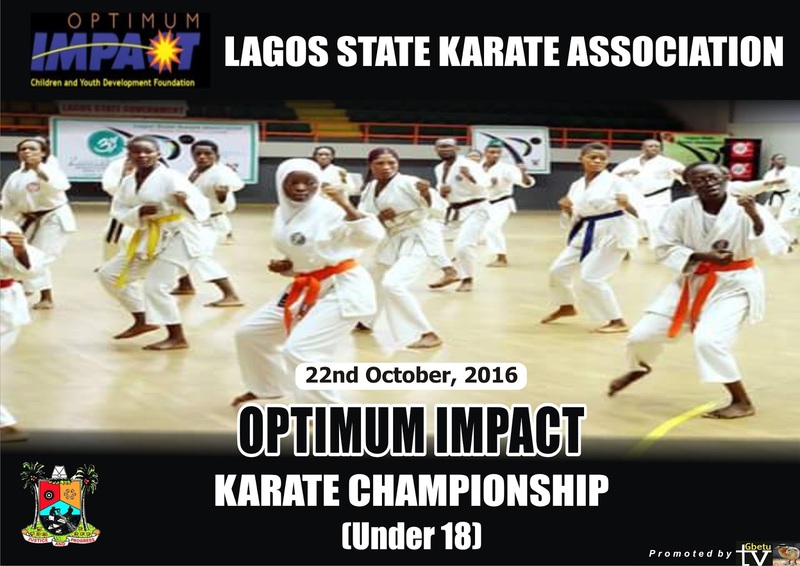 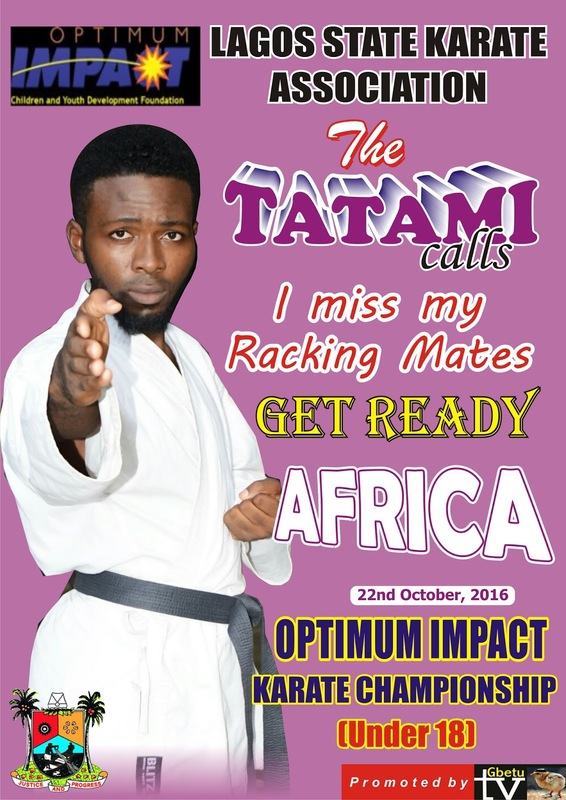 to The Optimum Impact Karate Championship 2016 (Under 18). 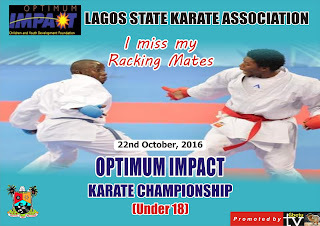 This event be held on the 22nd of October, 2016 at the Mobolaji Johnson Indoor Sports Hall, Rowe park, Casino, Yaba, Lagos, starting from 8:00 am till game ends. 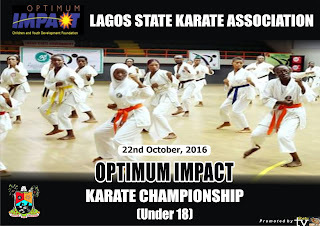 All Athletes Entries must be submitted on or before 17th October, 2016. 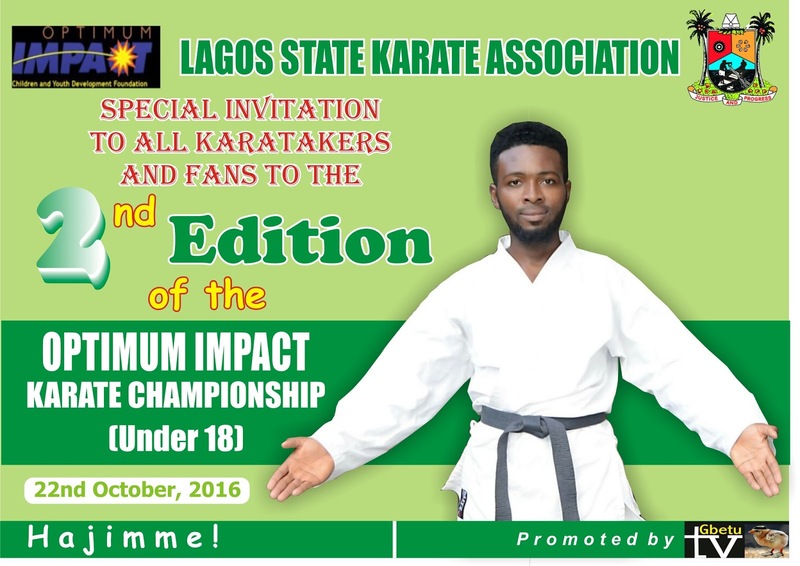 Also late entries attract the sum of N500 and closes finally on 20th October, 2016. 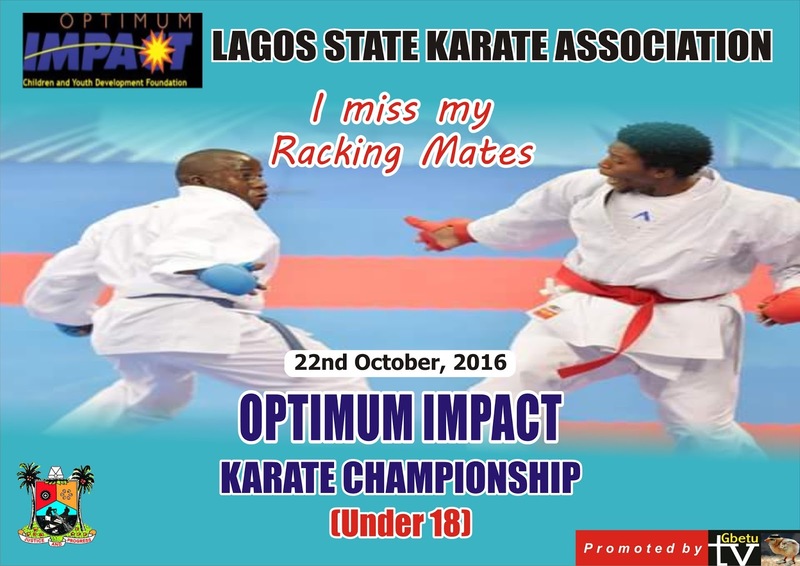 REMEMBER: All Athletes Entries must be submitted on or before 17th October, 2016. Also late entries attract the sum of N500 and closes finally on 20th October, 2016.